A convection oven is different than a standard oven because it circulates hot air around the food the use of a fan.Convection ovens cook food faster than conventional ovens. Combination Ovens combine two or more features into one unit. Traditional Combi Ovens combine convection with steaming. They are very popular ovens in European commerical kitchens and have become more and more popular in the United States. Combination Proofer Ovens combine proofing and convection. Proofing and baking are the two most important stages in the baking of bread and other baked goods. This is why a combination proofer oven is very popular among bakery chefs. Countertop Ovens are essentially small compact versions of standard ovens. They come in gas or electric models with varying options of deck sizes. There are many types of ovens available to suit your particular needs. Commercial convection ovens are a popular choice for large and small operations alike because they offer faster cooking than traditional ovens. We have gas convection ovens and electric convection ovens that you can use in your bustling kitchen, as well as gas and electric countertop convection ovens that are ideal for smaller restaurants, quick-serve applications, food trucks and more. We also have a large selection of commercial microwave ovens that utilize convection cooking technology for quick, reliable cooking and reheating. Commercial microwaves are made with heavier duty components than your standard in-home styles, so they’re sure to withstand the demands of a high-volume commercial kitchen. If you need extreme flexibility, make sure to explore our variety of combination ovens, which are available in gas, electric and convection styles. Traditional combination ovens feature a compartment for convection cooking and steaming, while combination proofer ovens feature styles for proofing and convection in one. We also have a huge variety of roll-in ovens, high-speed ovens, conveyor ovens and deck ovens at CKitchen.com. The great part about shopping with us — besides our signature low-price guarantee and free shipping — is that we’re staffed by a team of commercial cooking experts who can help you find the perfect equipment for your needs. If pizza is a common item on your menu, chances are that you’ll be looking to invest in a specialty oven (if you haven’t already!). There are two main types of ovens typically used for pizzerias: conveyor ovens and deck ovens. While both styles have unique benefits, their differences set them apart from one another, forcing restaurants to choose between the two based on their individual needs. The choice between conveyor and deck oven depends on your restaurant, your needs, and what you’re willing to compromise. Restaurants, hotels, hospitals, correctional facilities, and bakeries all have something in common: They utilize equipment for foodservice preparation. For many who choose to bake items fresh, they also have to have a little know-how on the art and science of baking! With pumpkin spice lattes and fresh apple pies comes another fall favorite: roasted veggies and meats. When working with your roaster, here are some essential tools to add to your lineup. Specialty equipment like pizza ovens are essential to any Italian restaurant or pizzeria. Even traditional restaurants and small diners choose to invest in pizza ovens, as pizza has become such a popular menu item. Additionally, the evolution of these ovens have made them ideal for cooking foods in addition to more than just their namesakes! Cook and hold ovens are an excellent addition to any kitchen looking to invest in equipment that can handle the tasks of many. With such versatility, cook and hold ovens give cooks the ability to multi-task while increasing food yields. If you’re a pizzeria owner, you’re probably no stranger to conveyor ovens. 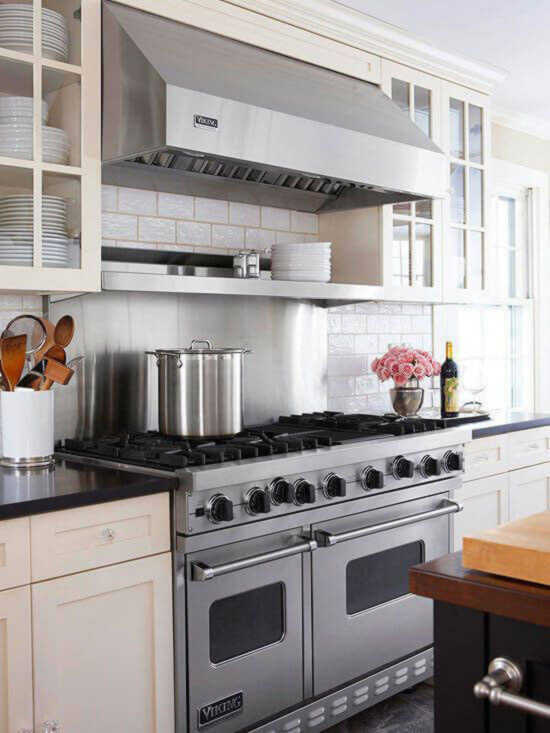 True, conveyor ovens can improve your kitchen’s speed, durability, and overall efficiency, but these ovens are sometimes taken for granted, and the basics of proper installation, operation, and maintenance can get left by the wayside. Ovens are a focal point for any kitchen, and choosing the right one for your restaurant can improve efficiency and help boost profits! You'll inevitably come to the crossroad between convection and standard ovens, so what's the big difference? Since the 1950s, convection ovens have made their way into restaurant kitchens around the world, and for good reason. 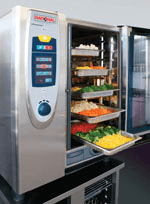 Steamer or Combi Unit ….Which should I buy? The best choice would depend on the menu and use. Restaurant equipment comes in many different shapes and sizes, and even among similar products, there can be distinct differences. There are always innovative and useful ways to utilize commercial restaurant equipment, especially in a high-paced setting. One such interesting piece of technology is the conveyor. Fall is the season for warm beverages, comfort foods, and pumpkin baked goods. If you haven’t fit some pumpkin items onto your fall menu, now’s the best time to prepare and create! Finding the right oven for your restaurant can boil down to details, especially for specialty shops. While convection ovens may seem like the all-around good choice (and typically they are), deck ovens are designed to support a business focused on baking pizza-shop items. Breads make their way into your pre-meal appetizers and main-course dishes. Rather than slacking and purchasing ready-made breads (which typically lack in freshness and flavor that a house-made bread could provide! ), consider making your breads and biscuits on-site by giving some of these tried-and-true recipes a try! Whether you’re opening a new commercial kitchen or renovating your existing restaurant space, starting with a well-stocked list of commercial kitchen equipment is essential to starting on the right foot! Bakeries, pizzerias, cantinas, fast food chains, and any other type of restaurant style or setup may require vastly different pieces of professional kitchen equipment, but generally there are some basics that span the categories and are suited as an essential for most any commercial kitchen. Let’s face it: pizza has become a major staple in the food world. When people don’t feel like making dinner, they get pizza. On football Sundays, they get pizza. For birthday parties, they get pizza. I think you get the idea. Since people don’t always have the time, energy, or equipment to make their own pizzas at home, though, they turn to the next best thing: ordering pizza. Therefore, as a foodservice establishment, it is important to know how to make the perfect homestyle pizza for these people to order and take home. With pumpkin spice lattes and fresh apple pies comes another fall favorite: roasted veggies and meats. Harking to memories of juicy morsels with a crisp, sweet shell, roasting is a fan favorite for many Americans. If you haven’t already invested in a roaster, now is the perfect time to add this essential to your kitchen lineup. 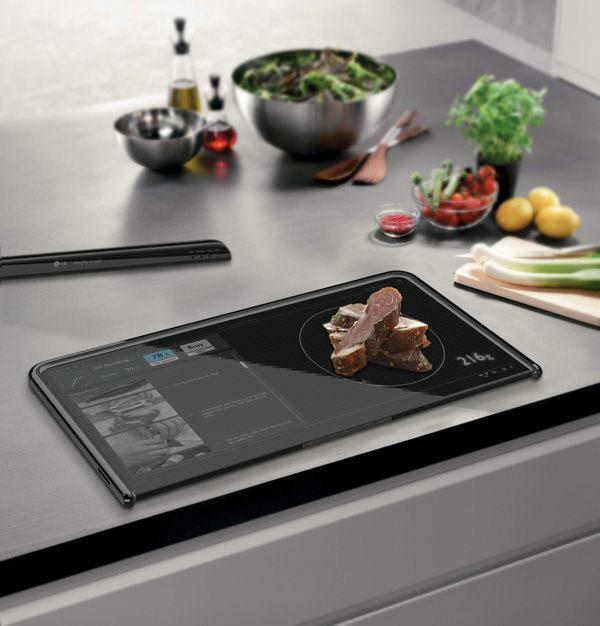 While cups and measuring spoons have been used for years to measure ingredients, digital scales are truly the way to go when it comes to accurate measurement. The cook and hold oven is the perfect versatile solution, preparing foods slowly for better results and maximum yields while holding cooked foods safely until serving. If you haven’t considered a cook and hold oven for your restaurant, then it’s time to take a closer look. From bakeries to pizzerias, restaurants should consider investing in a dough sheeter to boost production and decrease labor costs. works fast and efficiently. very impressed. We only needed the single deck model, but it works so wonderfully if we ever need to upgrade to the double or triple model, we would definitely choose Garland again! I have been using this oven for several weeks now, and am quite pleased with it so far. It heats up quickly and cooks evenly. I would feel confident purchasing from here again. Thank you.